Many medical facilities use picture archiving and communication systems (PACS) to store and access medical images of patients. This may include the images produced by X-rays, MRIs, and CT scans. While PACS system is known to help improve patient health, there are many doctors that struggle to fully utilize this technology. PACS has helped address many of the challenges that medical facilities face in providing quality care. There are four primary advantages to PACS. This includes the timeliness of treatment itself. When all the specialists and doctors involved in a patient’s care have quick access to medical images, they can provide more timely diagnosis and treatment, reducing one of the leading causes of medical errors. The other advantages include improved efficiency and accuracy. PACS also improves access to patient information. The convenience of PACS allows for a more efficient process, especially when multiple specialists are involved in the treatment. PACS are comprised of multiple components that are used to manage medical images, starting with the hardware imaging machines. The images are then sent through a secure network connection to an electronic data archive. The stored images can then be accessed through various workstations. The storing and accessing of medical images is where some facilities begin to see the limitations of PACS technology. These systems were originally designed for radiology departments. However, the need for multiple departments to share and access patient information has allowed this technology to spread. Unfortunately, different systems cannot always share medical images, due to compatibility issues between vendor-supplied hardware and software. The lack of interoperability between these systems limits the advantages discussed. Doctors in different departments may not have the option of easily sharing patient information if the systems are not compatible. If the information is gathered from multiple departments or facilities, they may need to access multiple viewers. While PACS has helped medical facilities deliver superior care to their patients, this technology still has a few limitations, including the inability of some systems easily sharing medical images. Vendors attempted to deal with this limitation by adopting an industry standard for sharing medical images. The development of Digital Imaging and Communications in Medicine (DICOM) allowed more systems to transfer data and share images with other departments and healthcare facilities. What Is the Next Step in Improving PACS Technology? There is no denying the advantages of PACS technology. 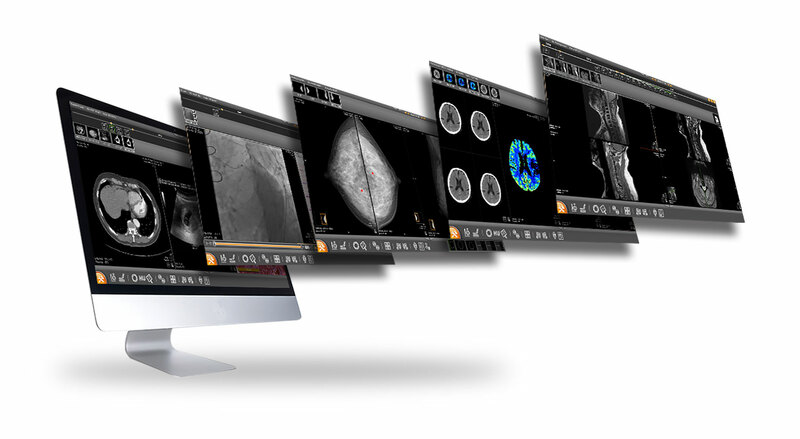 While the industry standard DICOM images have helped address the compatibility issues of sharing images between systems, many doctors still struggle with the hassle of using multiple logins to review medical images. Vendor-neutral archives (VNAs) are part of the next step in improving the efficiency of archiving medical images. Like PACS, VNAs allow doctors to archive DICOM medical images without dealing with the vendor restrictions that normally plague PACS. Healthcare facilities that are tired of the interoperability issues of PACS may think about implementing VNAs as an alternative. While PACS is still effective for improving patient care, VNAs may be better suited for improving the overall efficiency and accuracy of patient care.